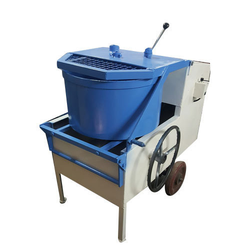 This is a hand operated concrete mixer and is suitable to mix 1 cut to 1. 1/2 CFT material. It is mounted on two rubber tyred/stand. We are a premium manufacturer of Concrete Mixers which are supplied to client’s doorsteps within the stipulated time frame. Designed and developed as per client's requirements. We are a prominent name in manufacturing, Supplying of Laboratory Concrete Mixer. 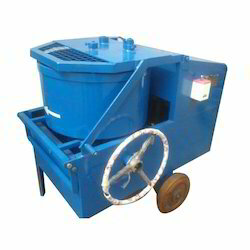 Laboratory Concrete Mixer is laboratory type & is electrically operated. The counter balance drum is easy to tilt with 1½ to 2 cu .ft. mix. The total drum volume is, however, 3 cu. ft. Mounted on a sturdy rubber tyred stand; the drum is mounted for end discharge and equipped with 1/2 h. p. electric motor, suitable for operation on 220 volts. A. C. single phase.